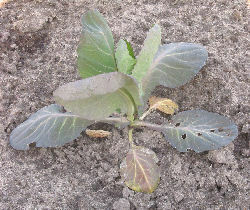 Effects of nitrogen deficiency on leaves. Lack of certain nutrients stops the plant from growing normally. Certain nutrients which are directly or indirectly related with the production of chlorophyll, have a distinctive effect on the colour of the leaves. Nitrogen deficiency for example, first causes the yellowing of the leaf area around the veins (which is part of the nutrient transfer network of the plant) and progressively the yellow area extends to the rest of the leaf, slowly turning into red and then brown colour. Lack of nitrogen on corn leaves. 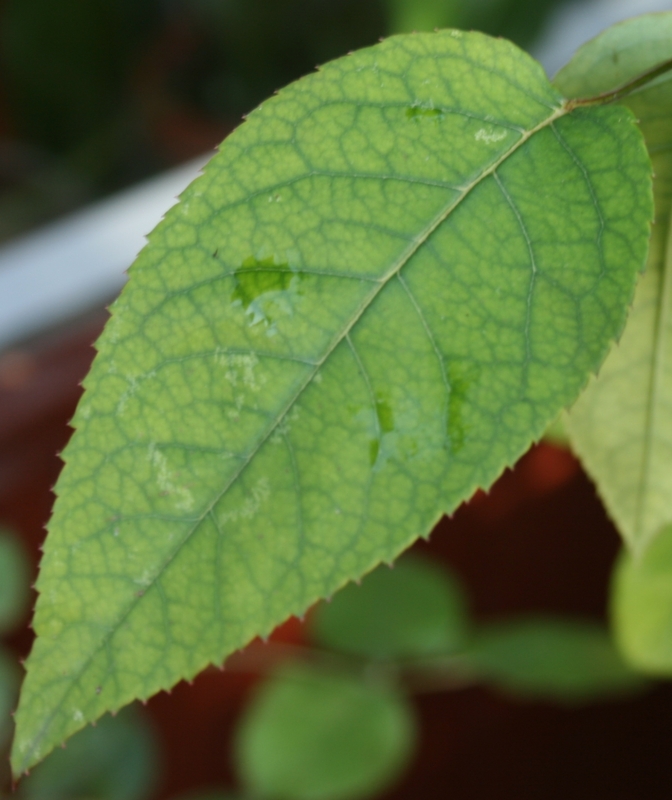 Lack of manganese in a rose leaf. Contrary to nitrogen deficiency, manganese deficiency first appears as chlorosis on the perimeter of the leaf, with the area around the veins being the last to show the effects of the deficiency. 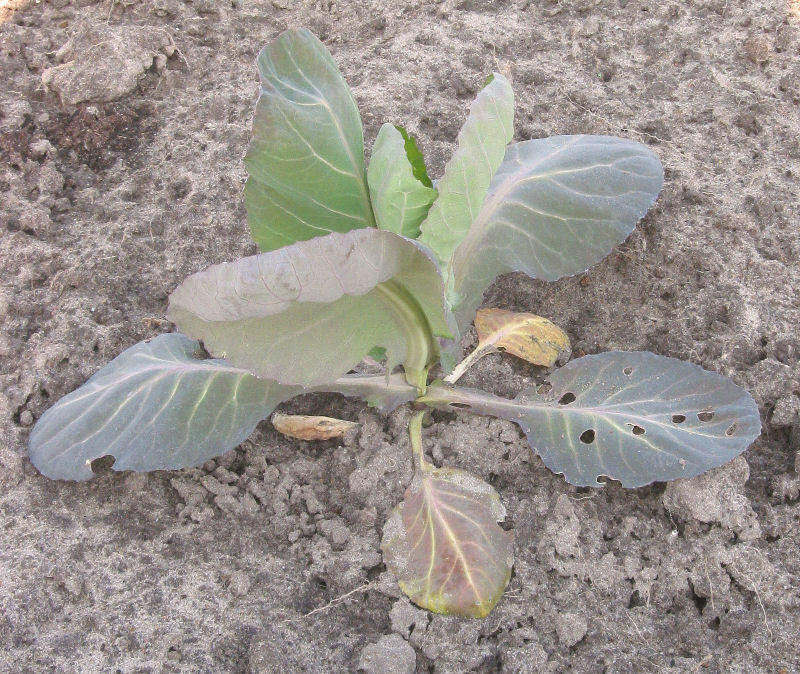 As the deficiency progresses the yellow leaf tissue dries out and dies, taking a dark brown colour. In addition to the progress of chlorosis, nitrogen and manganese deficiencies have one more difference. 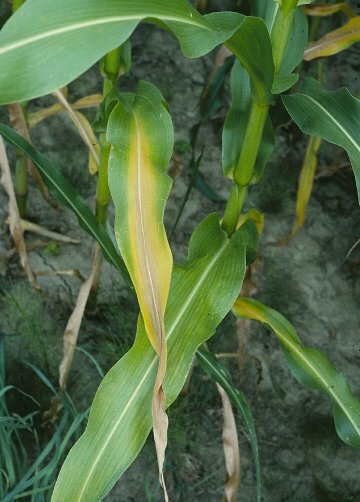 Manganese deficiency first affects the newer leaves, which grow near the top of the plant canopy. On the other hand, nitrogen deficiency tends to affect the older leaves which are found at the lower part of the plant, near the soil. For example, look at the two corn plants on the left. In both plants, the older lower leaves have turned yellow along the middle spine, while the newer upper leaves are much more green. There are many factors that can cause a plant to be stressed. Along with water shortage, nutrient deficiency and the destruction of tissue caused by external organisms such as fungi and bacteria are the most frequent causes of plant stress. All of these tend to affect chlorophyll production, which leads to its loss and the change of leaf colour from green to yellow, red and finally brown.